Starting a utility from scratch isn’t an easy thing to do. But startup Ethical Electric is setting out to essentially do just that, minus building out and operating the actual distribution lines. The company plans to market and sell clean power to consumers who want their electricity to come from wind and solar farms and not fossil fuel power plants. Ethical Electric is hoping to raise $2 million to get the business off and running, said Tom Matzzie, the startup’s founder and CEO who spoke at the Cleantech Forum in San Francisco. Now, $2 million may seem paltry for anyone who wants to try to sell electricity to consumers. But then, Ethical Electric’s business model will forgo the expensive capital investments needed to, say, build solar projects or a distribution network to pipe the solar power to homes and businesses. Instead, the startup will build a website and marketing campaign to sell clean power, which it will get (hopefully) from local wind and solar farms, Matzzie told me. The delivery of the clean power itself, and the task of billing customers, will fall on the utilities with the distribution lines, he said. So basically strong marketing will be key to Ethical Electric’s success. The startup won’t control power generation and delivery services, and it won’t have the same customer relationships that utilities already have. To make good money, Ethical Electric will have to attract a large base of customers – and fend off utilities who already offer their own clean power services. “We need scalable technology to deploy (clean energy), and the Internet can help us scale it,” said Matzzie. Ethical Electric’s business model is made possible by regulations in some states that require existing utilities to deliver power even if they are not selling the power. The idea is that utilities would get a portion of the monthly electric bills from consumers, but a big chunk of it would go to Ethical Electric, Matzzie said. The startup wants to start its service in New Jersey and Pennsylvania. Ethical Electric isn’t the only one seeing an opportunity in selling to a public that supports clean power generation in concept if not in practice. A number of utilities throughout the country are offering a variety of clean power programs. Some programs sell credits associated with certain renewable energy power plants (the idea is similar to the sale of carbon credits). Other programs tag an additional charge on the electric bill, and the utilities use that charge to buy clean power or build their own wind and solar farms. 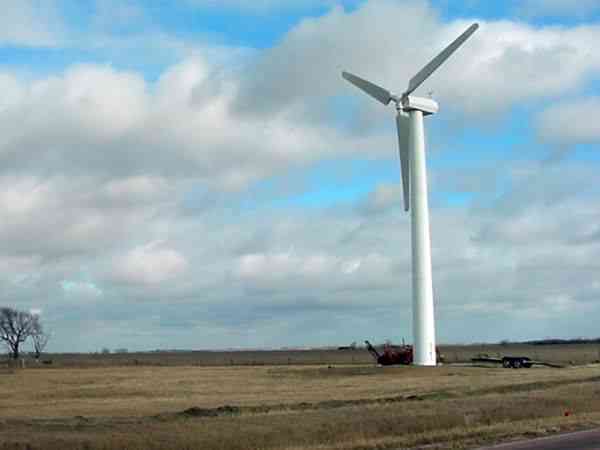 Xcel Energy, for example, runs such a program called Windsource. Many utilities also have to increase the share of their energy supplies to include more renewable power in order to meet state mandates. There also are the solar retail service providers who own and operate rooftop solar panels and charge home or business owners a monthly fee for the electricity from those panels. Then there are companies that, like Ethical Electric, emerged to sell only clean power. Green Mountain Energy is a good example of it. The Austin-based company sells directly to consumers in Texas and New York City and runs clean power programs for utilities such as Portland General Electric. Green Mountain also offers leases to help its Texas customers put solar panels on their roofs. NRG bought Green Mountain for $350 million in 2010. In some cases, companies that peddle clean energy to consumers are buying mostly the credits associated with renewable energy power plants instead of buying the renewable energy itself, especially if the wind or solar farm is far from the territories they serve. So consumers who sign up are not adding solar or wind power into their local electric grids but are still supporting renewable energy development (those credits are sold to help finance more wind and solar farm construction). Ethical Electric would buy wind and solar power through power purchase agreements and buy credits as well, Matzzie said. Sourcing clean power that is generated close to where customers live will help marketing the startup’s service, he said. The company has gotten approval from the Federal Energy Regulatory Commission and PJM, the grid operator that covers New Jersey and Pennsylvania. It still needs approval from the utility commission in both states. Matzzie hopes to start his service in the third quarter of this year. @Wondering: your question is legitimate, and the reason I wrote about it because I found it interesting the idea that a startup could insert itself into a slice of the clean power business and will essentially try to undercut utilities and other existing clean power service providers. I don’t know if the idea will be successful, but I’m in the business of reporting new efforts to change how energy is marketed or delivered to consumers. Ethical Electric happened to be an example that I came across. I don’t know why some people think that a business built on an Internet marketing platform is not worthy of being covered: we need good marketing to reach out to consumers and persuade them to use and pay for clean power. Ucilia – Please do your homework next time, there are hundreds of companies just like this one – nothing new here. Mike, did you read the part where I said there are many other companies that also are selling clean power directly to consumers? Guess not. Not to get involved in the back and forth snark here, but I guess I am wondering why another REP on the scene is news worthy of Ms. Wang’s time. Is it just the sheer volume of money they plan to pour into marketing? Dear Ucilia, This sounds as a energy trading company with a 2 million dollar marketing + website. That does not sound that Ethical to me. Sasa, I’d be interested to know your definition of “ethical.” Marketing and website are tools used by a variety of utilities/solar service providers to get consumers to sign up for their services.